Have you ever wondered about the proper etiquette for commenting, or the correct protocol for collecting emails for your mailing list, or perhaps whether it’s okay to share a link to your latest blog post in a comment section? If so, this post is for you. Kathryn Vercillo breaks it down for us and explains Craft Blogging Netiquette. The dos, the don’ts, and the depends. Netiquette, in short, refers to Internet etiquette. In regards to blogging it’s all about best practices for bloggers in regards to the way they share information and interact with readers, both on the blog and in other areas of the web (social media, commenting on others’ blogs, etc.) Netiquette changes with time and can be different in different industries; political blogs may have a different norm than craft blogs, for example. Even if you’re just learning how to crochet and don’t have a craft blog of your own, it can be helpful to understand netiquette when interacting with other crafters online. Some blogs – and many Facebook groups – have rules that are set forth by the person running the site. For example, there may be a rule that you can’t promote your own Etsy store in comments. These “rules” are only a small part of netiquette, but they are important. As a blogger, you want to establish your own “rules” or values for your blog. There are some great best practices to know and consider but ultimately your blog should be a place for your voice and you should try to get really clear with yourself – through journaling, business planning, etc. – what netiquette rules are important to you and which ones just don’t matter so much for your site. Knowing your own netiquette values is important for a number of reasons. It keeps the blog true to who you are. It helps you feel like you’re coming from a sure and solid place if someone online confronts you about anything you’ve said or done. And it helps you draw clear lines for the followers of your blog, giving everyone a better understanding of what your community is all about. For example, I personally think it’s good netiquette to speak positively about other people’s work or not say anything at all – and this can be maintained through comment moderation, eliminating distracting negative and hateful comments. That’s a value I hold and maintain not only on my blog but in my interactions with others; I don’t put down other people’s work anywhere else on the web either. Not everyone agrees with my approach; some people think it’s bad netiquette to delete comments from their blog. Give credit where credit is due. This is particularly important when sharing crochet patterns, tutorials, etc. Never post a full pattern by someone else on your own site; get permission before posting an excerpt. If you used someone else’s pattern to make something you’re showing online, let people know where to find the pattern. 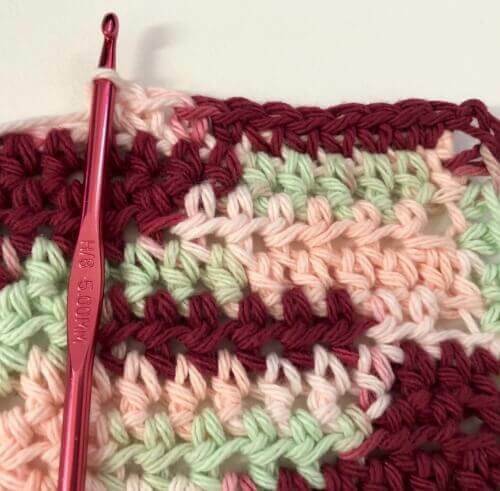 Crochet stitches (such as double crochet or seed stitch) are a bit different since there are so many places to find tutorials but if you used a specific one – or just have one that you recommend – link to where you found it. Self-promote only where it’s explicitly acceptable. Of course, promote yourself as much as you want on your own blog. This rule is about when to share your links on other people’s sites. Link love parties are a great place for crafters to share their work with others, letting people know how to find them. 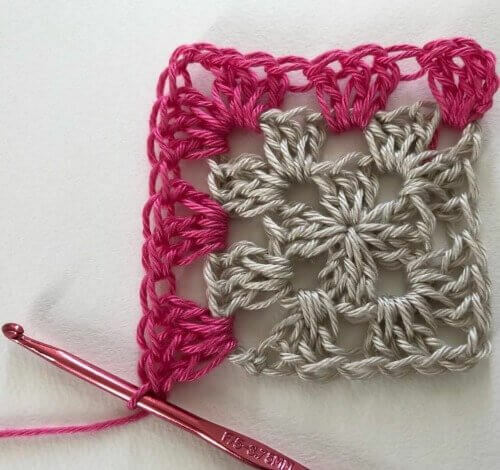 There are also lots of social media groups where you can share your crochet work and blog posts with others; each has their own rules and it’s important to know and follow them. Build your crafty newsletter list by request. Let people know that you have a newsletter and make it easy for them to sign up through your site. Don’t, however, collect people’s emails to add to a list without their permission. With this, and all other aspects of blogging, it is best to be transparent with what you’re doing, what you want and how you plan to approach it. Respond to blog comments. This one has changed a lot over time. Blogs used to be all about interaction with readers and now they tend to be more content-driven by the blogger. Plus, if you have a huge craft blog then you may not have time to respond to every comment. That said, when you get a really nice comment or one that’s helpful beyond just “nice work”, take the time to respond if you can. This is especially good if you’re just starting as a craft blogger, so that people in the industry can get to know who you are! Make your blog mobile friendly. A large percentage of people read blogs on the go so it’s a good practice to make sure that they’re able to do so by using mobile-responsive website / theme. Ultimately craft blog netiquette is a combination of general blog rules, the (sometimes unspoken) rules of the crafty world, and your own values. Taking the time to consider what you think is good craft blog etiquette – or etiquette when sharing on social media – helps your online world line up better with your real life persona and ultimately enhances your experience of sharing your craft. This is a guest post by Kathryn Vercillo, blogger at Crochet Concupiscence and author of several books including Crochet Saved My Life and Mandalas for Marinke. This is great advise to all bloggers, since I do thank bloggers for their wonderful tutorial! I found your tutorial on Pinterest. Thank you.